One of my favorite authors, LJ Shen, is coming out with a new book on January 9, and she has been sharing teasers about it for months, but the time has finally come to reveal the title, cover, and blurb for the book, and I am even more excited! If you enjoy reading romance, then you definitely need to check her out! And she can write enemies-to-lovers romances like no one else! Seriously, every time I am having a bad day, or even just in a reading slump that nothing can get me out of, her books ALWAYS do the trick. I only discovered her a few months ago, but have already read everything she’s written and am craving more. 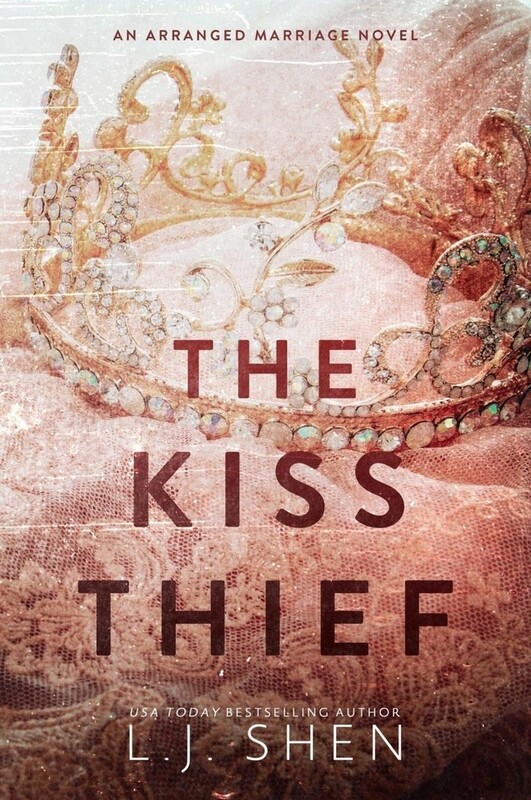 Now, without further ado, I present The Kiss Thief by LJ Shen! My review will contain spoilers for all five books in the series. Before is supposed to be a re-telling of book one from Hardin’s point of view, and as such, I thought it would kind of explain his actions, and what exactly he was thinking when he decided to share Tessa’s blood-stained sheet, but of course, that isn’t even TOUCHED on. Instead, this book was just a mess, kind of disjointed, and pointless. Nor do we get to see the scene where he says I love you for the first time, or what he was thinking about when he took it back. Honestly, she did a very halfway, shoddy job in “re-telling” the story for the first book. If she was going to be that lazy about it and not even include half the scenes, why even bother?? I mean, she doesn’t show what he was thinking when he got their first apartment, or him actually winning the money, and what he decides to do with it afterwards. The book just randomly jumps from that night at Landon’s house to a long time later with him asking her to move in with him. Um, what? And there is no indication of time given throughout the book. Just horrible writing all around.Honestly, she should have just included these parts in After. If she was worried that his thoughts would ruin the big twist… well, a skilled writer would know how to keep the mystery going. But to go back to the beginning, we get to see the scenes of how Natalie, Molly, Melissa, and Steph first meet Hardin, but not their actual relationship with him. What was the point of that? I mean, learning Molly’s background: you think it would make her more sympathetic or a good person, but it doesn’t. I don’t think Anna Todd knows how to write good, well-rounded females. Then at the end, we get to see what some of the male characters are up to, but it just randomly jumps in time without giving any indication how far into the future she has whimsically just flown into. And I could have cared less about Zed meeting a Tessa look-a-like whose name happens to be Therese. None of the other characters have learned their lesson or feel any remorse because they’re ready to have another bet, including Molly. So insanely stupid. I could have just skipped over Christian’s chapter and been just fine. That chapter only further goes to prove the author doesn’t have a good grasp on time because she only goes back twenty years, when he first starts having feeling for Trish, but um… Hardin is 21+. Don’t think she knows how to do math. Or she just likes to insult her reader’s intelligence. Probably both. And then we get two random ~Hessa~ scenes that are completely pointless and they still don’t get married. The end. I don’t think I’ll be checking out any more books by this author. I am once again participating in Dewey’s 24 Hour Readathon (for the fourth time!). Getting a very late start because my niece and nephew were over earlier so I played with them, and then I had other tasks to take care of, but I’m slowly getting started now (nearing noon, so almost 5 hours have past of the readathon already). Normally I try to clear out my schedule for the day as best as I can, but I have so many errands for this weekend I’m not sure how much time I’ll actually be able to dedicate to the readathon this time. I’m okay with that because I have read more this year than I ever have before in my life (nearing 100 books! ), so I’m okay with keeping this more low key. Especially since come Tuesday, I am going to dedicate several hours, or as much of the day as possible, to reading Kingdom of Ash! – I will try and update this blog hourly, so if you’re interested to see how I’m doing, refresh the page periodically! – I’m also going to try and update my instagram every now and then, so go and follow me there: @moonspree. My first update should come in an hour (at 1 PM CST, so check back then!). Hour 6 (1 PM): Hour 6 is over, and I’ve only managed to read about 15 pages of Lady Midnight. I just can’t seem to concentrate. I am enjoying the book, but it’s rather slow-moving. And still feeling sleepy thanks to some allergy medication, so I think I’m going to head out now to get some coffee. I’ll try and listen to an audiobook on the way and hope I have better luck with my reading the rest of the day! Hour 8: I started reading a Wonder Woman graphic novel, and got 1/3 of the way through (~40 pages) before I got tired of it and switched to Reese Witherspoon’s new book, and read 50 pages of that. Quickly took a food break and ate half a bagel as well, now I’m refreshed and ready to go for the next hour! Hour 9: Read 50 more pages of Wonder Woman (only 30 more to go before I’m done!) and then 50 more of Reese’s book (it has a lot of pictures, so it’s a fast read; but I’m getting pretty annoyed with it so I might put it down for the day). I need to find something else to read after Wonder Woman, something that I will enjoy a lot more than either of these books. I could always pick up another LJ shen book. Hour 10: Finished Wonder Woman (30 pages)! And started If We Were Villains (10 pages so far), but I’m already having a hard time keeping up with all of the characters. I feel like I need to pull out a notepad and pencil to keep up. But I am enjoying it so far! I think I’m about to take a really early dinner break now. Hour 12: I didn’t update for hour 11 because I took a break to go pick up some pizza and snacks. I ate while watching an episode of Melissa and Joey, and then started reading again a little after 6. I decided to try and attempt to finish A Court of Frost and Starlight finally since it’s such a short book, and I have read 35 pages so far. Only 120 more to go until I finish! Hour 13: Read another 65 pages in ACOFAS! Only 65 more to go until I finish! Not liking it any more than I did previously, but at least I’ll be done with this book. Hour 14: Read those last 65 pages and finished ACOFAS! Thank goodness! Now I will pick up one last book before I sleep. Not sure yet what it will be, but it may be an LJ Shen book because those keep me hooked! The End: I read 10 pages of The Sword in The Stone, but after that, my anxiety of everything I had put off for the day kicked in and I couldn’t concentrate on reading anymore. Instead, I watched a couple of episodes of Melissa and Joey and then went to sleep. I still consider it a successful readathon since I finished a book I had been meaning to since May, read a graphic novel that otherwise who knows when I would have gotten to, and finished a kids’ book that I had checked out from the library as well so I can return it. I’m already looking forward to the next one! 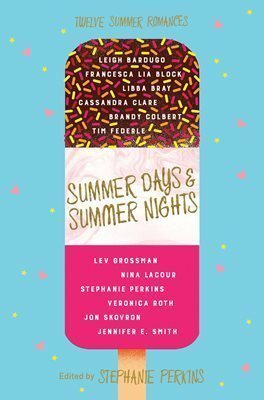 This short story can also be found in the anthology, Summer Days and Summer Nights: Twelve Love Stories, and my review for that will be up tomorrow. But I wanted to highlight this one as well because it was one of my favorites, and is the perfect fall/Halloween read! This was such a beautiful, atmospheric horror/fantasy read. This story revolves around Kevin, who is working his last day at the local movie theater in Deadwood, Texas, the Cinegore, which will be shut down the next day. There is an urban legend surrounding its inception: A Mr. Scratsche had moved to Deadwood in 1963 and bought this run-down 1920s movie palace, the Cinemore Theater. He re-named it “the Cinegore” and turned it into a horror movie palace. It featured “state-of-the-art details like Smell-O-Vision, Tingler shocker seats, skeletons that zoomed above the audience’s heads on an invisible wire,” and a 3-D screen and completely sounds like a place I wish I could visit! No one had seen Mr. Scratsche in years, but when staff for the place are hired, they’re asked to fill out a questionnaire about their hopes, dreams, and fears to see if they will be a good fit for the place. The last movie they are playing is I Walk This Earth, which is said to be cursed, as all the people who worked on this movie died in mysterious ways: the lead actress hung herself in a motel room, the teen heartthrob was beheaded when he crashed his car into a tree, and the director confessed that he’d sold his soul to the devil to make the film, and that it had the power to corrupt anyone who watched it and should not be seen by human eyes. And this may have just been my favorite story of the entire collection, mostly because I just love stories set in movie theaters, but also because unlike all the horror movies out there, it actually has a good, satisfying ending. This short story can be found in the anthology Summer Days and Summer Nights: Twelve Love Stories, and I will have my review up for that later this week. Annalee Saperstein , a woman who ran a laundromat in New York until she met Ruth in 1986. Ruth is a girl in New York who dreamed of a river god touching and kissing her, and nine months later, she gave birth to a baby with kelp-green eyes and ropes of seaweed hair. Her father kicked her out, and Annalee took her in and believed in her when no one else did. Her daughter grew up to be a famous model, which allowed Annalee to quit her job, move to Little Spindle, and open a Dairy Queen franchise. This is where she meets Gracie. Although one problem with Cassandra Clare books is that they use a lot larger font than every other book (such as Sarah J. Maas’s). PLUS, there is a bigger amount of spacing between the lines as well, artifically inflating the page count of her books. I’m not quite sure why the publishers do this? It’s rather annoying, especially because the books end up being so thick and hard to hold. I mean, if you put a Sarah J. Maas book next to this one, Sarah J. Maas’s will come out to be a lot thinner in terms of spine, which I like. All that to say, this is probably not the longest book I read this year, since I also read Tower of Dawn (and plan to read Kingdom of Ash! ), but in terms of artificially inflated page numbers, it is. And there you have it. 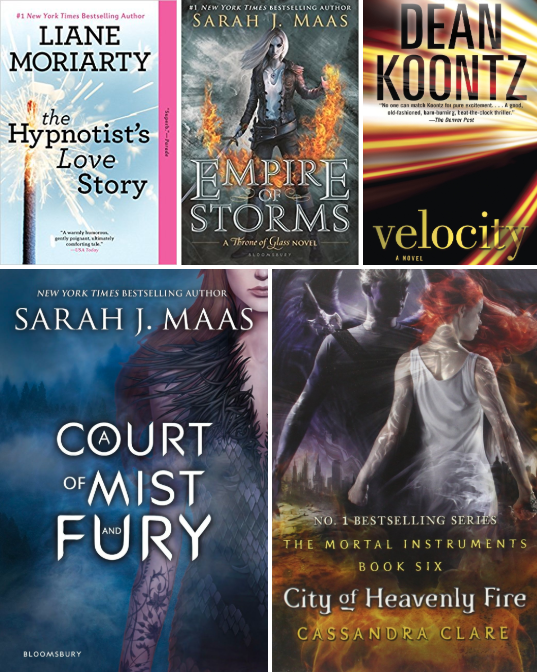 I mentioned Sarah J. Maas, and of course her book was the longest for this year. High fantasy usually is. Yup, I used to be pre-med once upon a time. And I’m not even sure I read this in its entirety? Another short one, mostly because I haven’t logged all my books on goodreads. Longest audiobook I’ve “read”: A Time to Kill by John Grisham (it was a total of 17 torturous hours, but by the end I was listening to it on 2x speed). Longest book I have read in a single day: Harry Potter and the Deathly Hallows! This was probably the longest book I had ever read in my life up to that point, and probably the longest book I have ever read in a single day. Longest book I plan to (maybe) one day read: A Count of Monte Cristo with over 1,000 pages. I originally wanted to read this when I was watching the show Revenge, and it was loosely based on that. I had plans to read it during the hiatus of that show, but then I lost interest in that show and the length of this book. Longest book I gave up on: Anna Karenina, 800-1,000 pages (DNF @ 200 pages). It was just really boring, and was I really interested in reading about an adulterous “romance”? No, thank you. Also wow, this was kind of another boring topic because who wants to hear so much about page length? And I can’t review some of the books since it’s been so many years and sadly I don’t have a review for a lot of my books on goodreads.